Combat the damage caused by daily external aggressions. 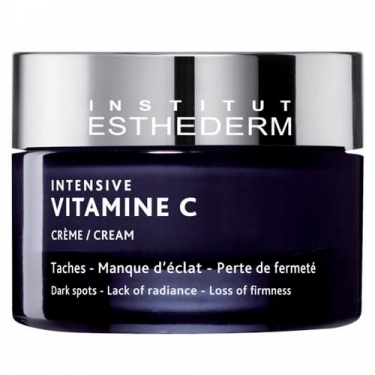 DESCRIPTION: Intensive Vitamine C from Esthederm is a cream, which helps to moisturize and balance the complexion while fighting free radicals. 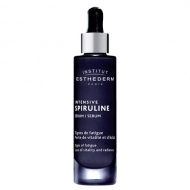 Anti-aging double action: combats wrinkles and dark spots. Its rich, silky, unctuous texture, with a high concentration of vitamin C, for an anti-aging, moisturizing, stimulating, balancing, depigmenting, antioxidant, protective, anti-wrinkle and illuminating action. The skin becomes softer, firm, even and radiant. 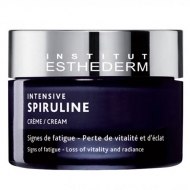 Ideal for mature, aged and stained skin.